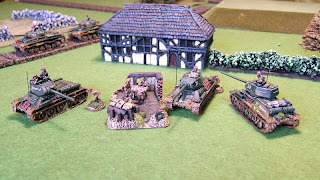 In January 2009 we ran a Late War Flames of War Tournament entitled “Santa’s Onslaught”. The aim was to run a friendly competition to give non-tournament players a taste of national competitions. Consequently I “borrowed” a standard tournament rules pack to give a “real feel” competitive experience. We also invited players from the Cheltenham Wargames Association to come along too. Armies were Late-War and 1500pts or their relevant equivalent (e.g. 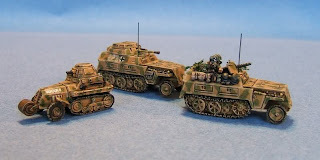 British First Army get 1950pts, Soviet Guards get 1165pts, Canadians get 1760pts, etc.) made up from any one of the LW army books. If the “Allied” side is currently the points leader then they will be the attacker. If the “Axis” side is currently the points leader then they will be the attacker. If the side that scored the most points in Round 1 also scored the most points in Round 2 then they press on with their attack. If the side that scored the most points in Round 1 subsequently scores the least points in Round 2 then play then roles will be reversed and they will now defend. Well done to the Cheltenham boys esp considering they were outnumbered 7 to 5!!! Axis:allies result was 248 to 332 so it looked like history repeated itself on the wargames table – I always knew FoW was a good set of rules! The 32 Point Scoring System. Each game has 32 points allocated between the two players. Work out who is the winner of the game, this is the player who has fulfilled their mission objectives, or who has broken the enemy force consult the victory points table for the mission. · If the winning player scores 7-0 (this is only included for completeness, it’s a very rare situation, you would have to be fighting against a German force picked from the Villers Bocage briefing using Wittman, kill Wittman, and not lose anything yourself) then the winner scores 32 tournament points. · If the winner claims a 6-1 victory then they score 28 tournament points, plus or minus 1pt per the difference in the number of platoons destroyed to a maximum of 32 points or a minimum of 25 points. 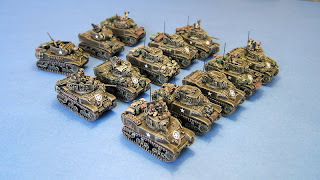 · If the game ends in a draw, then the winner is the player who has destroyed the most enemy platoons, he scores 16 tournament points plus 1pt per the difference in platoons destroyed to a maximum of 18 tournament points or a minimum of 14 points. The loser (or in the case of a draw the player who killed the least platoons) gets 32-winners score tournament points. Both players’ score must add up to 32. Uncle Sam plays Tommy Atkins at the end of the game Tommy has won the mission having lost one platoon of his own and having destroyed three platoons from Sams’ force. Because Tommy has won and only lost one platoon it is a 5-2 victory so Tommy gets a basic 24 tournament points plus an extra two bonus points for having killed two more platoons for a total of 26 tournament points. Uncle Sam gets 6 tournament points (32-26=6). Ivan plays Heinrich and at the end of a hard fought game Ivan has broken Heinrichs’ force, killing two platoons but has lost four of his own platoons. This is worked out as a 4-3 victory for Ivan has he won the game but lost a lot of platoons, Ivan gets a basic 20 tournament points, but looses two points for the difference in platoon losses for a total of 18 points. Heinrich scores 14 tournament points (32-18=14). In the event of a player getting a bye, they will get 26 tournament points or their average score so far if this is higher. In all missions without the “Fair Fight” special rule the defender has a significant advantage if insufficient turns are played. If a game in one of these missions ends because of time out before seven complete turns have been played then the defenders winning margin is worked out on the 4-3 basis (that is they will score between 17 and 24 tournament points only). If seven or more complete turns have been played then work out the victory conditions as normal with the defender counting as the winner. So we are going to do it all again! 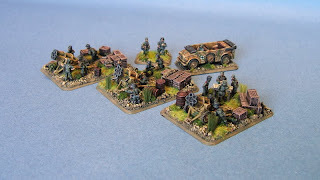 There are now even more LW army list books plus loads of pdf files on the FoW website. 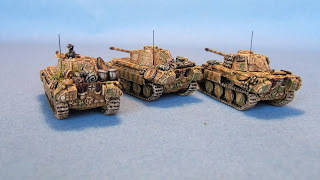 The main difference will be an increase to 1750 points to squeeze in the plethora of big tanks available to all. The format will remain the same. Interested? Join the Yahoo group and reserve yourself a place.